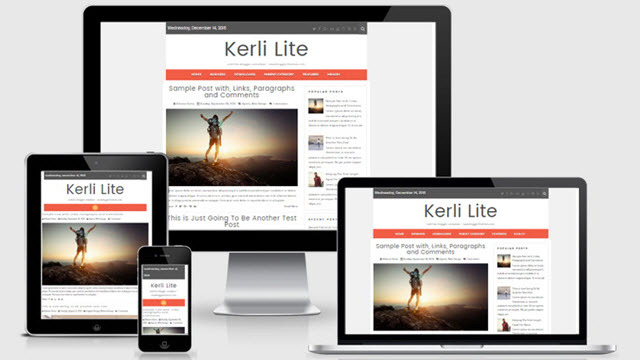 Description: Kerli lite Blogger Templates is a 100% responsive, simple and light, 2 columns Blogger theme. It is suitable for personal blogs, photography, magazine, publishing and any kind of sites. Kerli lite Blogger Template has auto post summaries, navigation menus, social and share icons, Google web fonts, right sidebar, related posts with thumbnails, scroll to top button and more.